We meet the various Lahori musicians at the center of the film: the colorful showman Nijat Ali, sitting on a roof practicing with his harmonium, father and son percussionists Rafiq Ahmed and Najaf Ali, and violinist Saleem Khan, who opens a decrepit violin case to show us the pitiful shape of his grandfather’s instrument. Khan’s reminiscences as he shows his grandson the photos of their musical family history serve as the perfect jumping off point to black-and-white flashbacks of the once bustling Lahore film industry. The fun ends in 1977 with military man General Zia ulHaq, whose overthrow of Zulfiqar Bhutto brought with it the installation of an Islamist government, and soon after, the decline of the film and music industries. Over the years since, it became not only impossible to eke out a living as a musician, it also became dangerous, as subsequent religious extremists convinced their followers that music was sinful. The Sachal Orchestra’s sitar-infused, soulful, thrilling rendition of Brubeck’s Take Five on YouTube caught the attention of a lot of people outside Pakistan (including Dave Brubeck), and in 2013 the group received an invitation from Wynton Marsalis to play with his orchestra at Jazz at Lincoln Center. Song of Lahore takes us through the lead-up to that trip to New York, the concert and the outcome afterward. Woven through the practice sessions, we get to know more about the group. Nijat Ali, he of the soul patch (will these things ever go out of style? ), the trio of necklaces and rings on almost every finger, he’s the look-at-me guy, and the conductor/arranger. His family have been musicians for seven generations and his father, Riaz Hussain, had a huge influence on Nijat and the group, and died during the film’s shooting. The documentary is dedicated to him and one of the most beautiful shots shows Nijat covering the grave in deep pink flower petals, their softness and color contrasted with the dark grey stone underneath. Many of the Sachal group are middle-aged and older, and you sense their fear that all the years of playing and practicing might lead to nothing before their time on this earth is up. The prep for the New York trip is charming as we watch these travelers go through the same rituals we all do – cramming in medicine, cigarettes, cold weather apparel, dress clothes – while also tamping down nerves and exhaustion, hugging loved ones and leaving instructions for those staying behind. I loved the great mirth the appearance of Nijat’s (who else’s?) oversize pink suitcase causes. You really do grow fond of these men very quickly. Their few days in New York before the show grow tense, as the Sachal Orchestra meets Wynton Marsalis’ Orchestra in the rehearsal hall and the two groups try to come together and play off each other. It looks quite grim when a sitar player is removed and a last-minute replacement found. Will they be able to do it, or will it all be a terrible mistake? Away from the studio, as the group navigates the sensorial onslaught of Times Square, my heart melted at the moment of respect and recognition for the talents of a fellow-percussionist when tabla player Ballu Khan takes out some cash and places it before for a guy drumming on plastic buckets. I also loved guitarist Asad Ali joining in with the Naked Cowboy for a few lines of John Denver’s Take Me Home, Country Roads. Far out. I held my breath for first song of the opening night at the Lincoln Center, and after the first bars and the positive response from the audience, you could see the Sachal guys’ relief and my heart swelled as did my tear ducts. You want so badly for them to succeed and get the appreciation the deserve. I did find it remarkable that not only were there no women in the Sachal group, as the camera pans around Marsalis’ orchestra, there too is an excess of Y chromosomes. The trailer hinted at a promising story, and Song of Lahore does not disappoint. Sharmeen Obaid-Chinoy and Andy Schocken have given us a film that is moving, joyous and full of hope for man’s goodness and creativity. 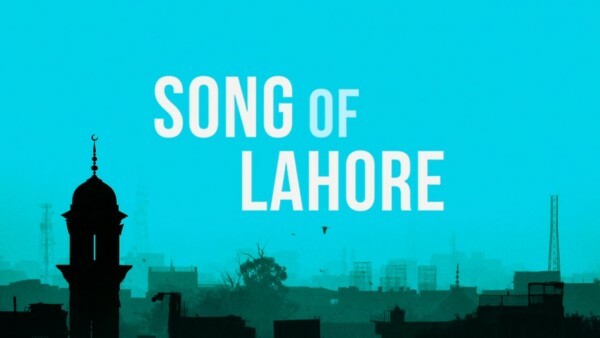 Song of Lahore has all the elements we love in our movies here: a tale of a scrappy bunch of underdogs, some past their prime, fighting against their environment and the passage of time to express themselves and their talents. Only the most hidebound, pleasure-denying, cold-hearted Grinch wouldn’t be moved and cheer on the Sachal Ensemble. The film is currently showing in New York and Los Angeles, and is also available – right now (let’s hear it for day-and-date-release!) – on DVD, digital HD and video-on-demand.